A dear friend of mine has blessed me with a Guideposts every year for Christmas for so long. My husband and I are so blessed to read it every day. I can't TELL you how many times the devotion and/or scripture in it has ministered to me and practically saved my life. Just a day or two ago (I always peek ahead, so I can't remember which actual day it was for, because I read it for about 3 days straight! ;) ) Anyway, the verse was Psalm 96:2 "Sing to the Lord, bless (affectionately praise) His name; show forth His salvation from day to day.". It just stopped me in my tracks. Show forth His salvation? Hmm...I wonder EXACTLY what that means? This sounds really good. Because day to day, meaning always, EVERY day I should, we should all, be showing His salvation...I bet Strongs (Concordance) will tell me something really good about this. Check this out: to show as it used here means to be fresh, full, and rosy (to mean cheerful)! To proclaim, declare, and preach good tidings! Salvation as used here means all these wonderful things: something saved, deliverance, aid, victory, prosperity, health, help, welfare. Also, from a word meaning (I LOVE this part!) to be open, wide, or free; to be safe, to free or give succor, to avenge, deliver, defend, preserve, rescue, saviour! Bottom line? Psalms 96:2 says we should be showing the good effects of living as a child of God, saved by the grace of Jesus, Name written in the Lamb's Book of Life, filled with the precious Holy Spirit, wielding the sword of the spirit (which is the Word of God) and our shield of faith, Ephesians 6:16 "Above all, taking the shield of faith, wherewith ye shall be able to quench all the fiery darts of the wicked. ". We have been given freedom from sin, freedom from the curse (been redeemed from it - Galatians 3:13), freedom, freedom to love, freedom to forgive, freedom for believing God is a God of His Word and taking and applying it to the doorposts of your life, and your family! 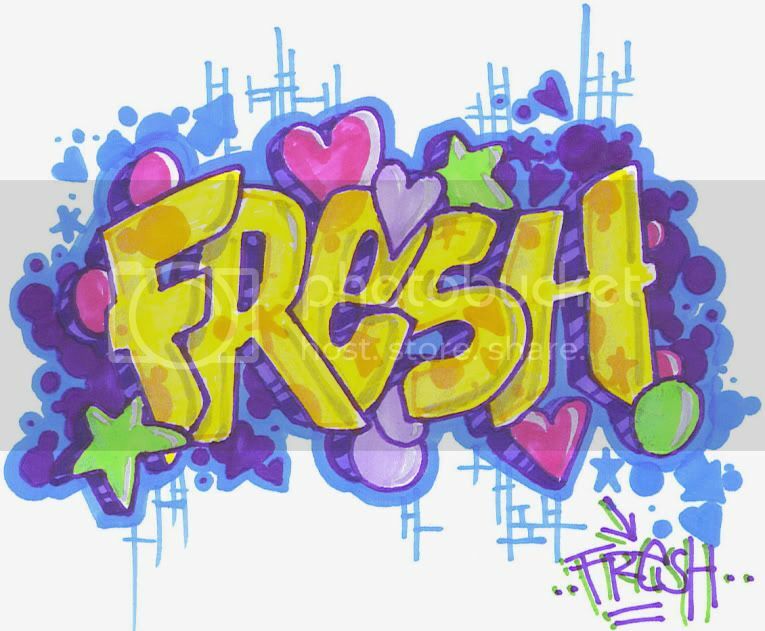 Fresh - every day! You could say, we ought to be able to have a sticker on us that says - "her rosy cheeks mean she has been made fresh daily!" Tee-hee! His mercies are new every morning! I will praise the Lord with my WHOLE heart! No offense, no bank statement, no bad attitude I may be tempted to have, is going to be allowed to preside in my life! People who come to my house, who I meet when I do business, they will know that I have a good reason for my hope! Praying to be made more fresh! Sweet and encouraging post. Now I'm off to shower and make the outer shell fresh. LOL! Amen. It is so easy to let Satan steal our joy and our rosy cheeks. But no matter what our circumstances we have reason to declare forth His glory and be full of rosy, cheery, good news! This is not something we can do by might or by our power but by His Spirit by drawing closer and closer to Him! Amen! Sister! AMEN! I too have a long way to go..but He is faithful!